Imagine your child having a dirty diaper and going to change him, and there are no more diapers left. You have no money to buy any more that day. Maybe in a couple days or a week, you will get a paycheck and have enough money to buy a few diapers. They probably won't last til the next paycheck after that, and at the moment, what do you do? This little creature that depends on you and to keep him clean, fed and healthy needs a diaper that you don't have. Some people ask relatives to borrow money. Many times they are not refused because of course, nobody wants a little baby to go without a clean bum. But soon, you are well in debt to one or more person, and don't really have a way of paying them back without dipping into the diaper fund and needing to borrow again anyways. This can create hard feelings and all the things that go with being in debt to family or friends and constantly being a borrower of money without paying anyone back. Some people skimp on the groceries to buy diapers. They go hungry and buy cheap nutrition-less food. This is dangerous, especially if the mother is nursing the baby, she needs to be able to eat plenty of healthy food to pass on to her baby. If she is not, then expensive formula must be skimped on and bottles diluted. The baby goes without enough nutrition in order to have a clean bum, when he should never have to go without either of these things. Some people leave dirty diapers on and/or RE-USE the diapers. I don't believe I need to describe how. Any way you picture it, you know this is disgusting and hardly viable. Its certainly not keeping baby clean or healthy. At best, a re-used diaper catches everything before it hits the floor or baby's clothes, but at what price? For some people, especially those who already must skimp on the groceries, this is the only option. 1 in 3 mothers in America have faced this horror. Let me repeat that. 1/3 of all mothers. In America. Have struggled with obtaining enough diapers for their baby. I have been one of them. At the time, I wondered how many others face this. When I faced the fact that we just didn't have money to buy diapers, I also wondered if there might be a place sort of like a food shelf that might give out baby stuff, especially diapers, for people who really need them. Because I really needed a place like that just then. I was not too proud to ask for help to keep my baby clean and healthy in my emergency. I don't think any of us would be. Luckily, it was a one time thing, when the paycheck was a little short a couple weeks, and grandma generously bought some as a gift. We just needed a little help through that one month. 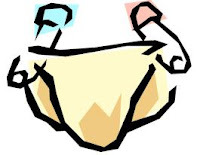 How nice would it have been to have a place to go to get a package of free diapers, just like we can go to the food shelf if we really need to? Especially if it had happened again. Who knows, maybe it will. Well, I found out there are places to go. There are diaper “food shelves”. But where do the diapers come from to stock these places? They come from us, just like food in food shelves comes from us. And these places are much more in need. So many people need help with diapers, an expensive but necessary item when you have a baby. Maybe you have been one of them. Please consider making a donation, if not today then maybe the next time you donate to the food shelf. Those who don't have babies can donate a package or two and breathe a sigh of relief that you don't have to spend that much money every week. You can also breathe a sigh of relief that some innocent baby out there will not have to sit around in a dirty diaper, because you provided for them. Thank you.